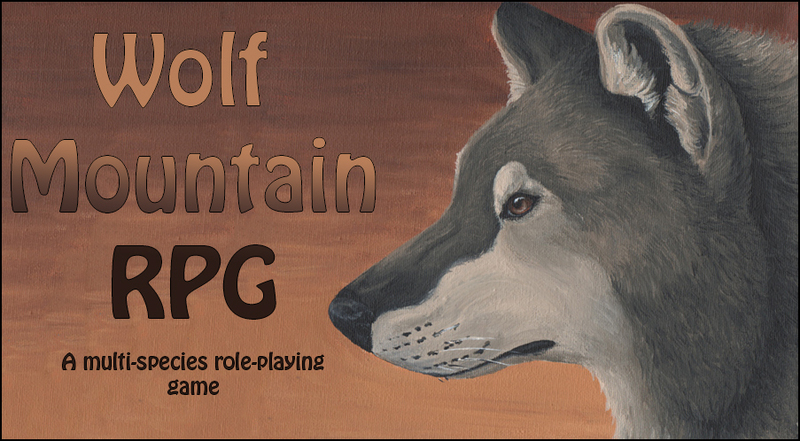 This guide contains everything you need to start role-playing on Wolf Mountain! This guide contains everything you need to start joining! The joining process is easy, to start, click Joining and Rules. This section includes what you need to follow in order to be a member and what creatures you can role-play as. You can only role-play as a species if it is labelled on the joining and rules page. If it isn't, you may be able to earn the right to play that character after being at Wolf Mountain for a period of time. Dragons and other Mythicals are playable once you receive an egg (either from a breeding pair of Dragons or from getting lucky at a Blessing day). Once you've read the rules, go onto the Registry to join officially. You need not wait for a reply, unless you have a certain query. However, make sure you check back on the board regularly to see if your character has been registered successfully. People role-play differently, so it's hard to make a proper guide on how to do it. However, in this guide some of the basic skills will be discussed for those who have never role-played before. From this you can adapt your own versions and individual skills. The most basic thing is distinguishing action and speech. Actions are generally written in italics (the HTML for italics is <i>text here</i>) or inside *'s etc. Speech is left as it is. The more detail you include in your post, the more interesting it will be. Fighting is straight forward too. There are two main types of fighting in play-by-post RPGs like Wolf Mountain. These have to be decided on at the start of the fight. 1. Auto-Hit = Your moves hit the opponent straight away. Some people prefer this method of fighting, it is generally quicker and requires a bit of experience. 2. Normal Fighting = You can't decide whether or not the moves hit, however you must be careful to avoid power play. A player that refuses to get damaged counts as power playing. If you want to learn more about battling, the best thing to do is look at the Battling Grounds board and read other peoples posts. This way you can see which style you like best and see what is acceptable when battling. Blessings can also be used in battle. These are found on Blessing Days and you can also win them by fighting ranked creatures and winning. There are also a few other ways you can get them too, but you must work them out for yourself. Blessings can leave your character tired, so be careful when you use them. Water blessings do slightly more power near water etc.